The International Society for Krishna Consciousness (ISKCON) was officially established in 1966 in America by His Divine Grace A.C. Bhaktivedanta Swami. The philosophy of ISKCON is nothing but the philosophy of Sanantan Dharma. Sanatan means which has no beginning and no end. This is existing from the dawn of creation. It is the world’s most ancient religion. The main scriptures are The Bhagavad-gita (The Song of God), and the Shrimad Bhagavatam (entire story of supreme Personality of Godhead Krishna). The principles and practices of ISKCON were taught by Shri Chaitanya Mahaprabhu (1486-1532) through his dearmost associate Nityananda Prabhu and six of his principle associates, the Goswamis of Vrindavana, Sanatana, Rupa, Jiva, Gopal Bhatta, Raghunatha Dasa and Raghunatha Bhatta. And later by BhaktivinodaThakura (1838-1914), his son Bhaktisiddhanta Sarasvati Goswami (1874- 1937) and Srila Prabhupada (1896-1977) who spread Krishna consciousness all over the world in English Language. ISKCON’s history includes a disciplic succession (guru sisya parampara). It draws its legitimacy from its place in a succession of spiritual teachers and disciples. 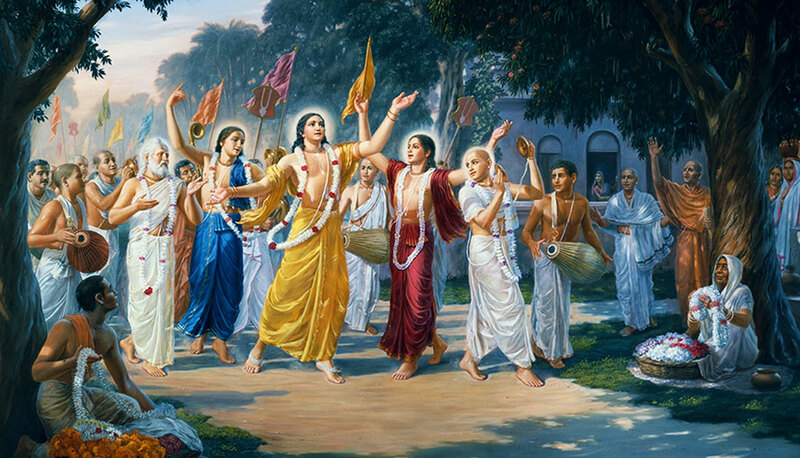 There are four major disciplic successions, and ISKCON belongs Brahma-Madhva-Gaudiya lineage founded by Shri Chaitanya Mahaprabhu in the 16th century. To propagate a consciousness of Krishna (God), as it is revealed in the great scriptures of India, especially Bhagavad-gita and Srimad-Bhagavatam. We accept the principle of transmigration of the soul (reincarnation).